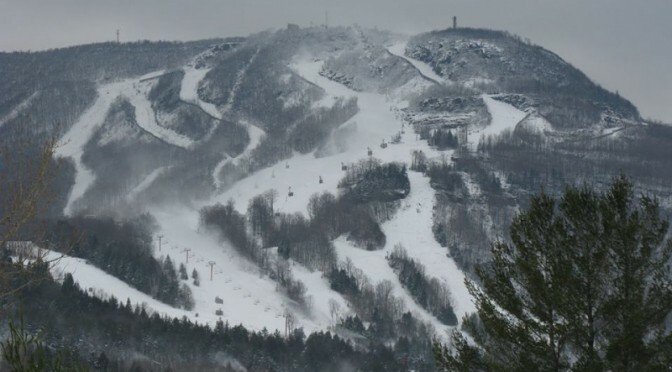 Hunter, NY – Making good use of a line of credit secured just last month, Peak Resorts announced this afternoon that the company is buying Hunter Mountain ski resort in New York State’s Catskill Mountains for $36.8 million. Peak Resorts currently has preliminary lender commitments for a first mortgage of approximately $20 million, which would be secured by Hunter Mountain assets. The remainder of the cash requirement is expected to be funded by tapping the line of credit secured in October. Peak Resorts expects to complete the purchase of Hunter Mountain by year-end 2015. Starting out in Missouri, Peak Resorts has in recent years expanded its portfolio of ski resorts to include Northeastern mountains including Wildcat, Crotched Mountain and Attitash in New Hampshire, Mount Snow in Vermont, and Jack Frost/Big Boulder in Pennsylvania, among others. The line of credit opened in October was specifically earmarked for acquisitions. “Our roadmap for growth calls for a mix of organic growth and resort development as well as acquisitions that will let us build our portfolio of ski resorts in the attractive overnight and day-drive segments of the market. We expect this transaction will be accretive to Peak Resorts’ Reported EBITDA in the third quarter of fiscal 2016 and we will continue to evaluate other potential value-add acquisitions,” Boyd noted. Hunter Mountain is a popular drive-to ski area for residents of the New York City metro area, complementing the company’s Jack Frost/Big Boulder resort in Pennsylvania. Hunter Mountain generates approximately $27 million in annual revenue, according to a statement issued by Peak Resorts.